Nothing brings holiday warmth to your guests quite like being greeted at the door with some holiday cheer in the form of an outdoor Christmas sign. Words speak louder than any wreath or sparkling lights. (Though we suggest you throw those up too!) Trouble is, when our budgets at that time of year are already tight, a sign can be quite expensive, especially a larger one meant for the porch or yard. 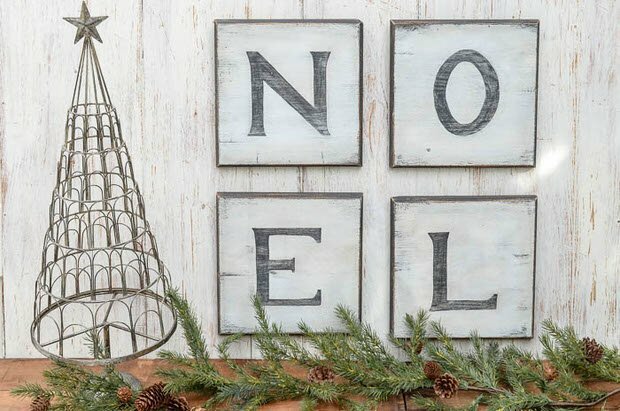 Make DIY Christmas signs instead of spending money on decor. Share the message of holiday happiness! 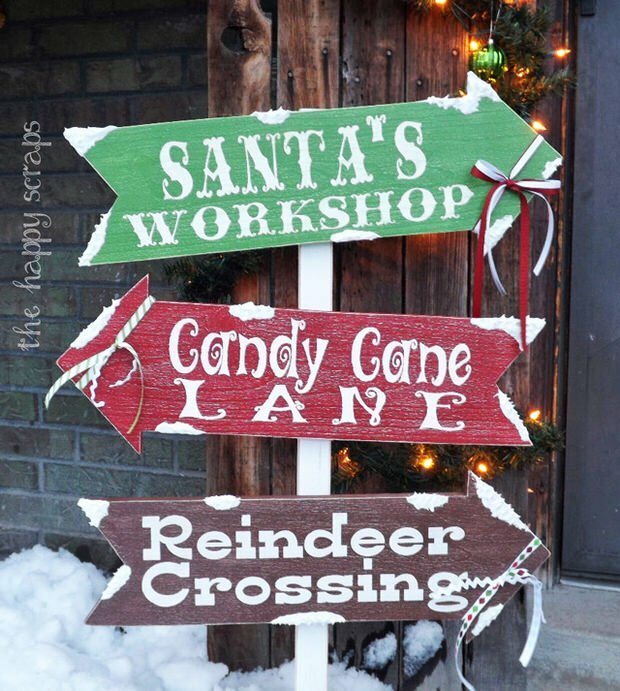 You can use these Christmas sign ideas to welcome the season into your entire neighborhood. Buffalo check, anyone? Well, yes! 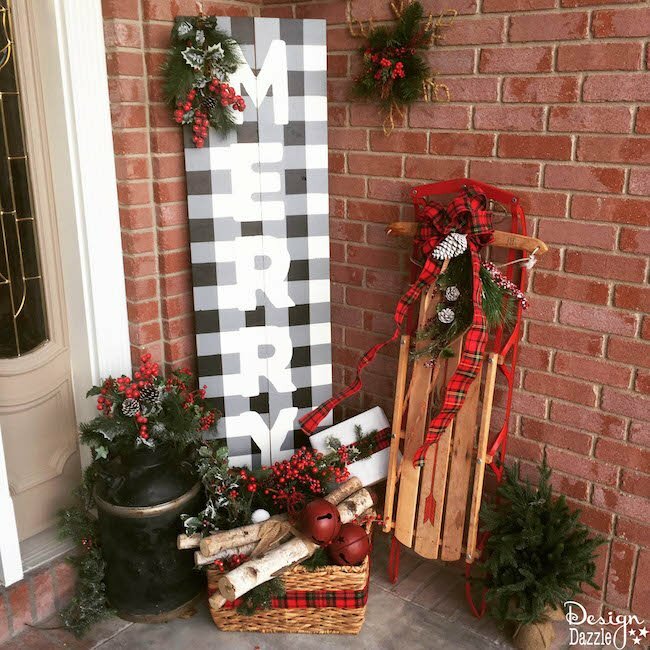 Toni from ‘Design Dazzle‘ shows us how to make this Christmas sign for your front porch using paints and contact paper. 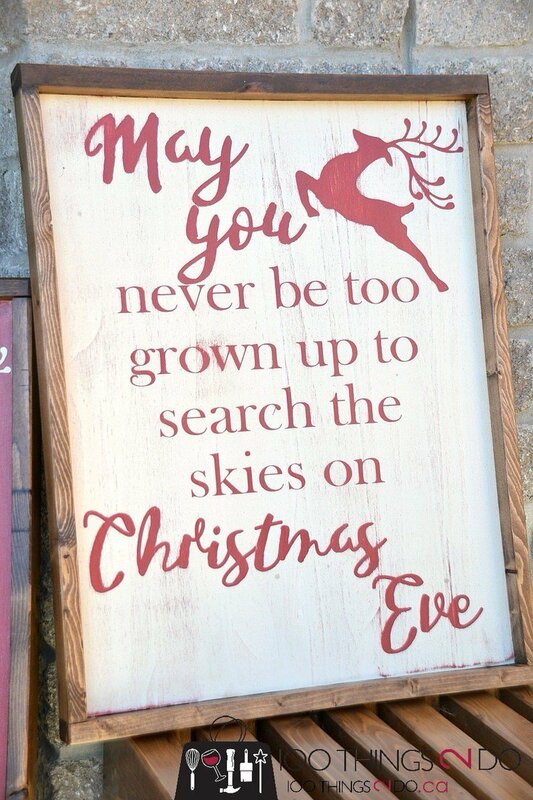 Check out this outdoor Christmas sign tutorial from ‘Fynes Designs‘. 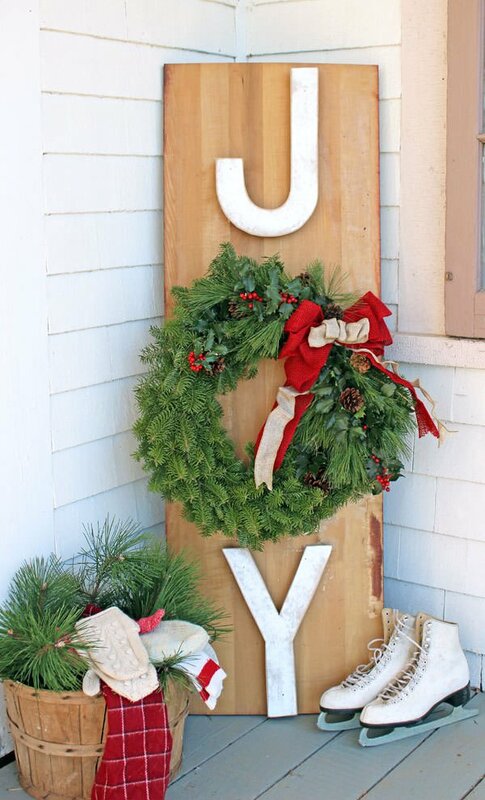 Her “Joy” sign is made from a reclaimed piece of wood, some scrap and a live evergreen wreath! Shelly at ‘100 Things 2 Do‘ made this DIY Christmas sign with custom cut vinyl letters. But you can just purchase letters for your “saying” at the craft store and still follow her directions. And, she even has a tutorial for the Farmhouse style frame! Another take on a “Joy” Christmas sign is this DIY version from Brooke at ‘Re-Fabbed‘. 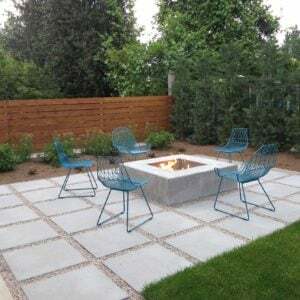 This was a really easy and inexpensive project! Check out her tutorial! 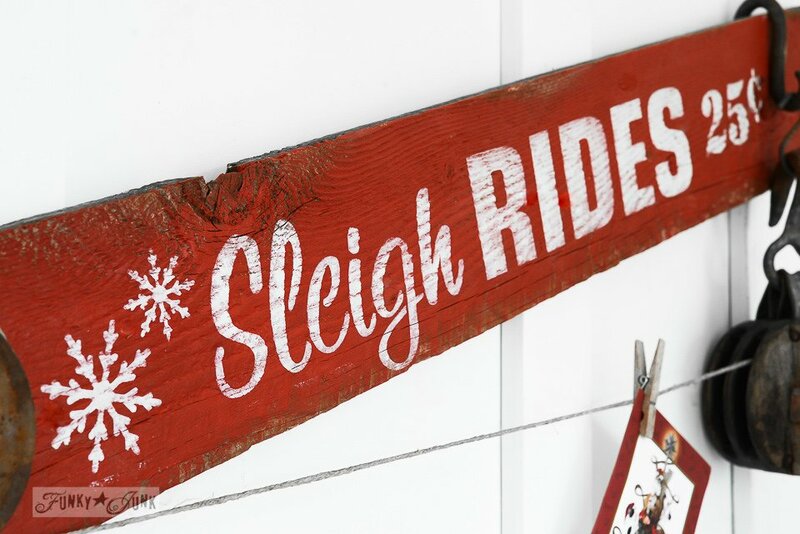 From Donna at ‘Funky Junk‘ comes this tutorial for her Sleigh Rides DIY sign. Now she added some vintage hardware to make it into a Christmas card holder, but I love it just as a sign! Don’t overlook her more detailed tutorial on how to stencil so that you know the technique. From Jamie at ‘Anderson + Grant‘. 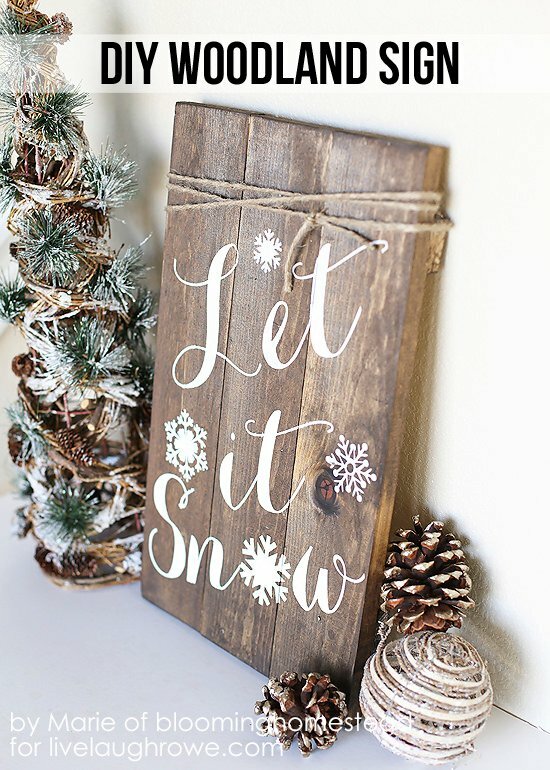 These DIY distressed Christmas signs will put the holiday spirit into anyone who comes by. Easy tutorial with inexpensive supplies. Love this Christmas sign idea! Ok. So this is some serious Christmas spirit in action! 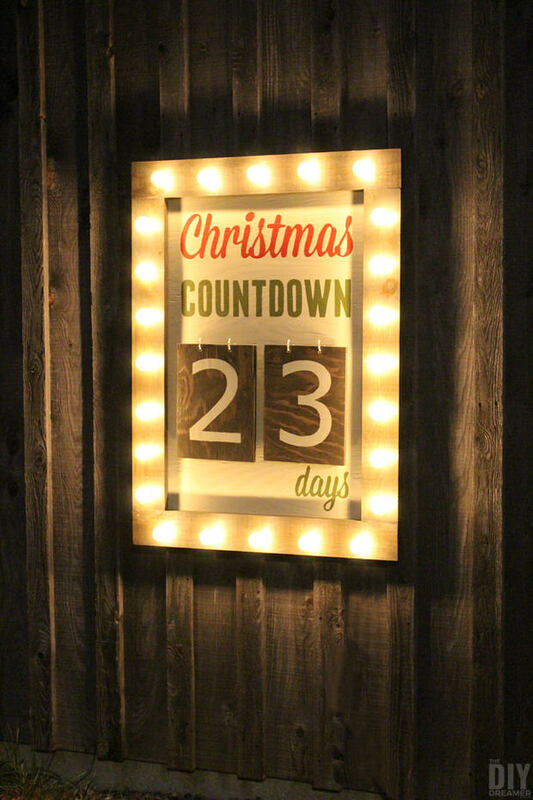 Christine at ‘DIY Dreamer‘ has a complete tutorial for her outdoor countdown marquee Christmas sign. And when I say complete, I mean she even shares the font she used to create her letters for the sign! Because this project is much easier than it looks, and well worth the effort. Who else would have this on their front porch, but you? Like that lighted sign look? Good! (It kinda nails the spirit of the season, doesn’t it?) 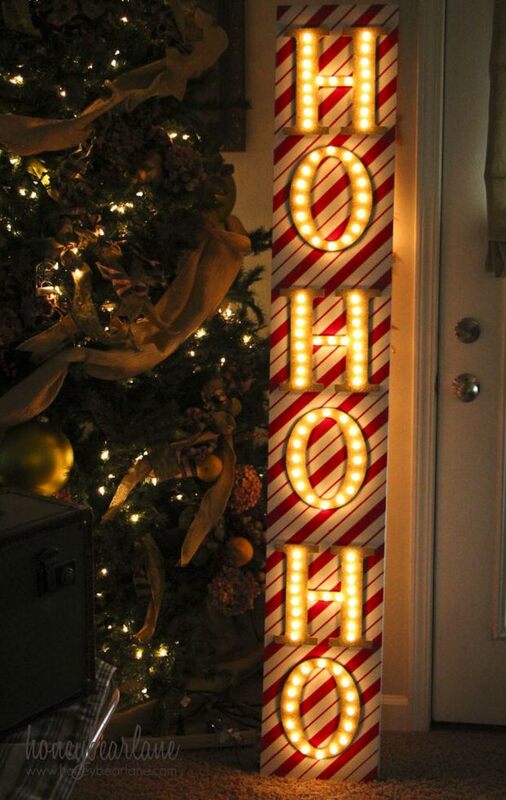 Well then try this Ho Ho Ho Christmas marquee sign from Heidi at ‘Honeybear Lane‘. I love her tutorial because she includes all the details on how she made this sign, including the exact type of painters tape she used to get those perfect stripes. 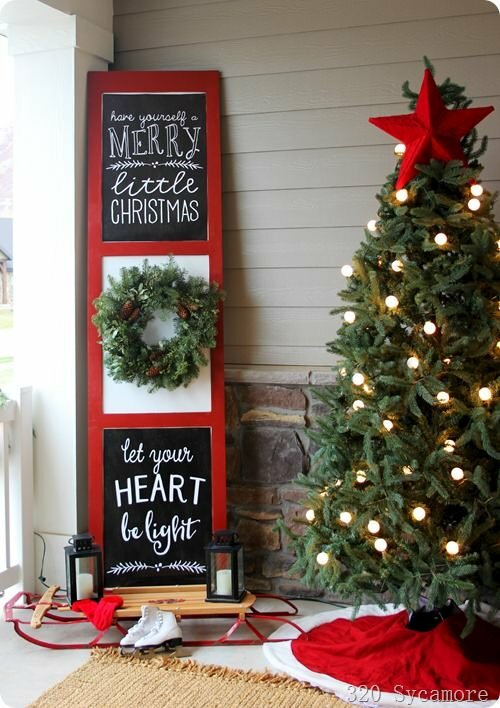 Also love the size of this sign as well, perfect for making a front porch Christmas decorating statement! Loving this DIY woodland sign from Marie at ‘Blooming Homestead‘ for ‘Live Laugh Rowe‘. This is a really easy DIY Christmas sign, and I think the little detail with the twine wrapped around the top really sets this project apart. Amazing what such a little thing can do, right? Amy at ‘The Happy Scraps‘ has this cute tutorial for us that kids will love… Her DIY Christmas arrow signs would make any of us feel like looking towards the sky on Christmas Eve! 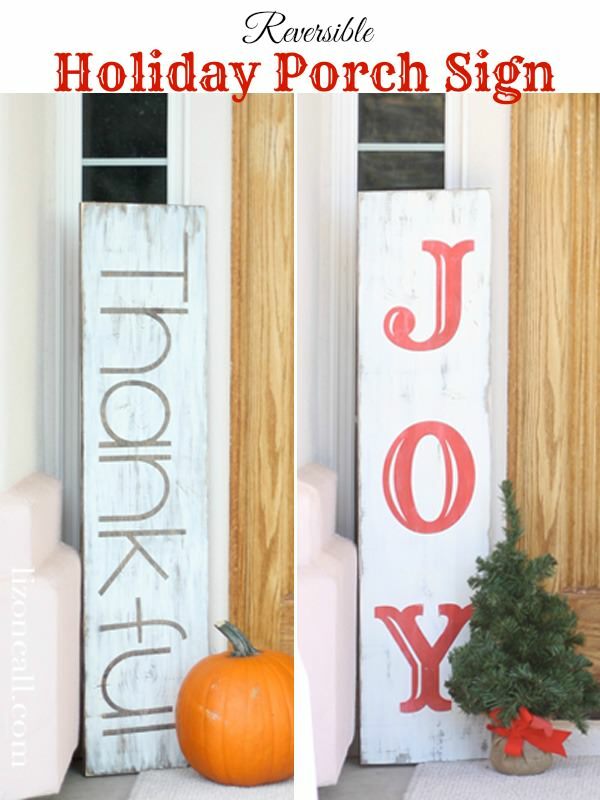 From Liz at ‘Liz on Call‘ comes this DIY reversible front porch holiday sign. This is brilliant! One side for the fall or Thanksgiving, one side for Christmas. And now you have the whole holiday season covered with happy greetings! Last, from Melissa at ‘320 Sycamore‘ we have this cute idea for anyone who doesn’t relish the idea of working with lumber. Melissa made this outdoor Christmas sign from an old door she got at Habitat for Humanity. 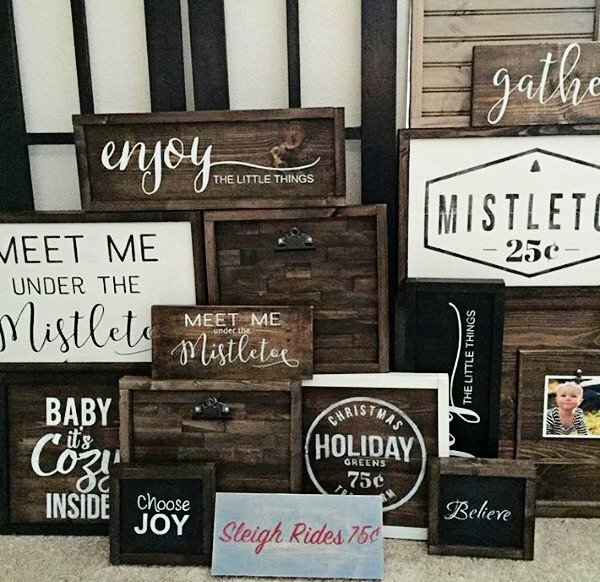 The bright red paint really says Christmas, and the chalkboard paint in the two recessed sections make it easy to customize these DIY holiday signs. You can even change them as the season goes on! 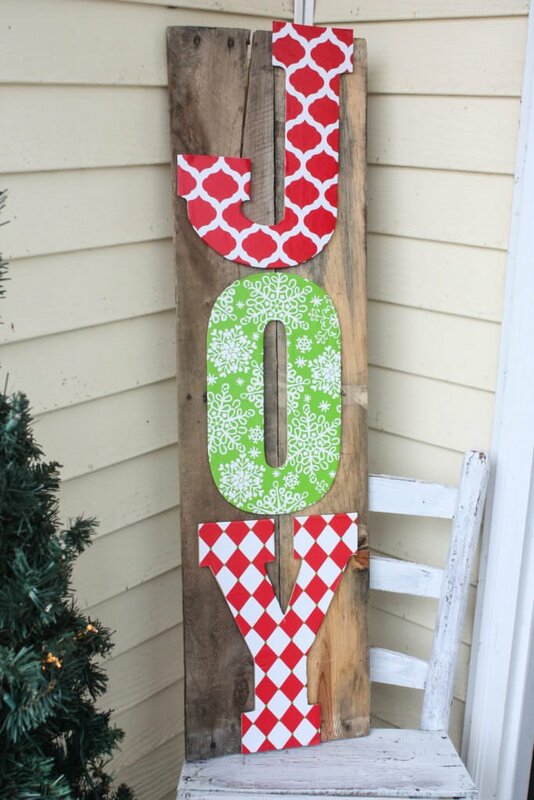 We hope you make a DIY Christmas sign for your front porch this year! 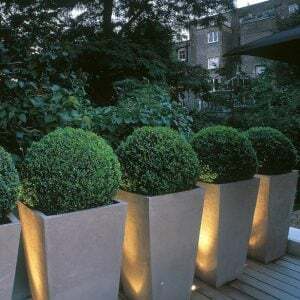 And then jump on over now to our posts on Creative Outdoor Christmas Light Ideas or DIY Outdoor Christmas Decorating! What a GREAT collection of Christmas signs! WOW! I feel honored you included my Outdoor Christmas Countdown Marquee Sign! Thank you! We LOVED yours Christine! We know our readers loved it too! Thank you! I love all these wooden signs! They’re so rustic and bring out the holiday season so well. Thank you very much for sharing these with us!